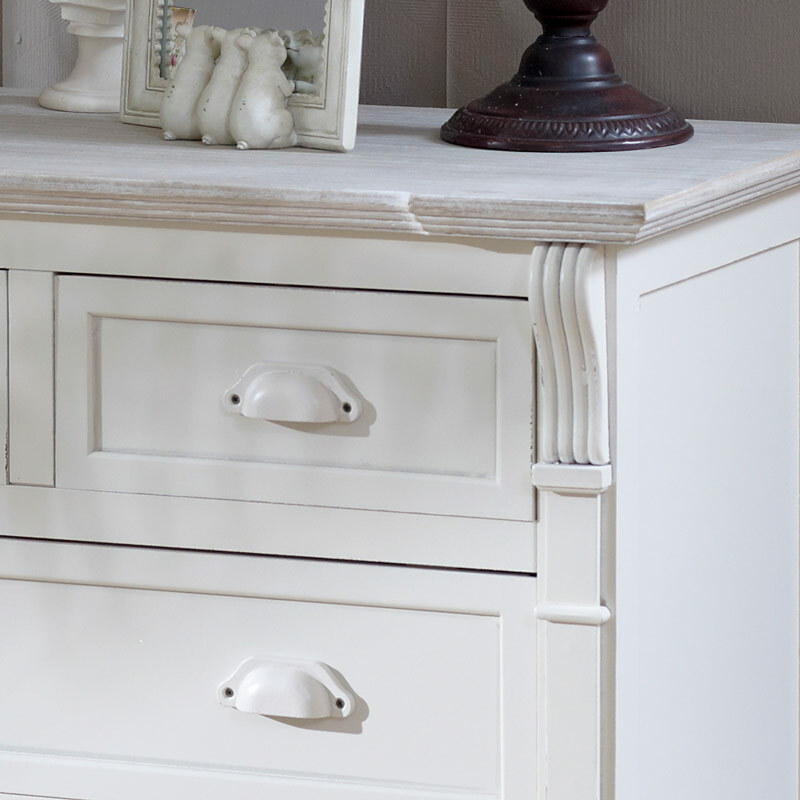 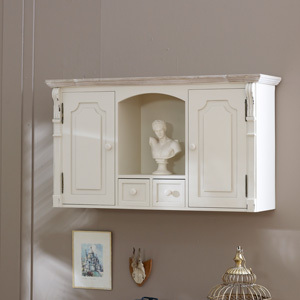 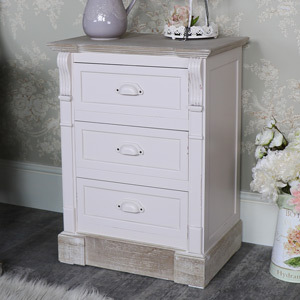 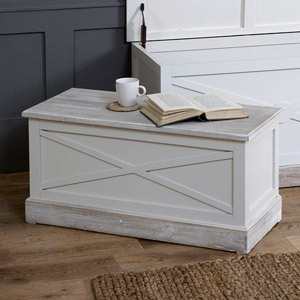 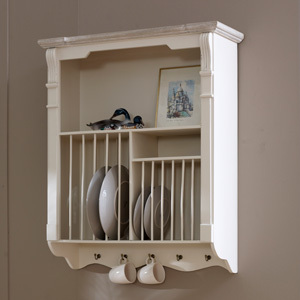 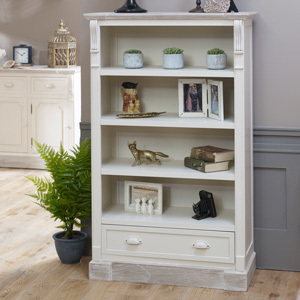 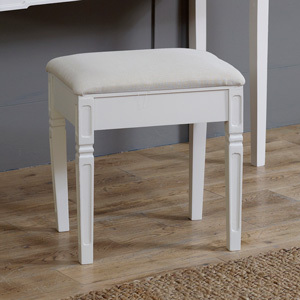 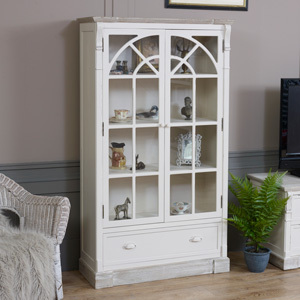 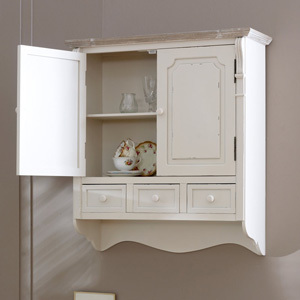 The Lyon range is a fabulous, country style, vintage inspired collection of rustic wooden furniture with a distressed cream finish, cream metal cupped handles and carved detailing. 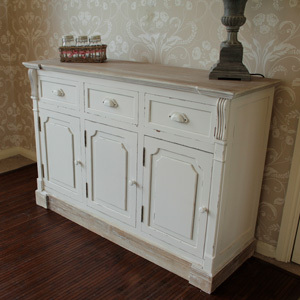 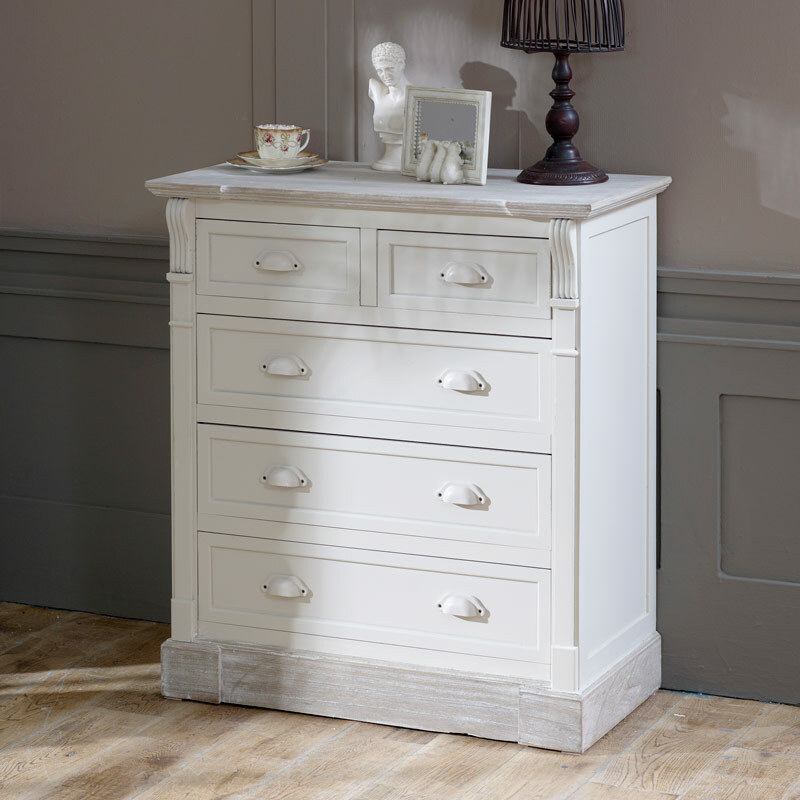 This five drawer chest of drawers would make excellent storage for a living room, bedroom, hallway or study. 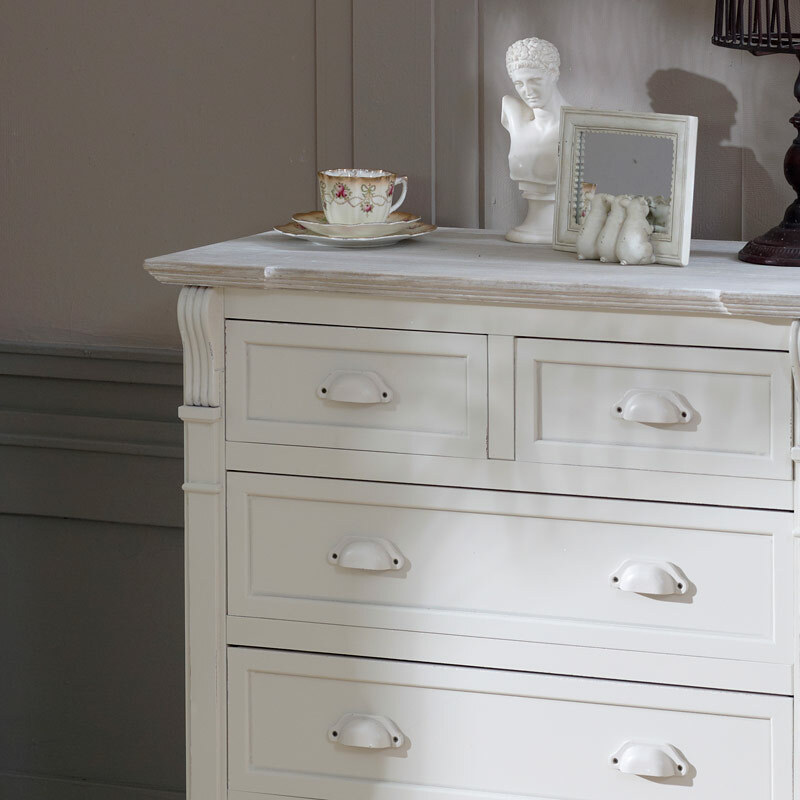 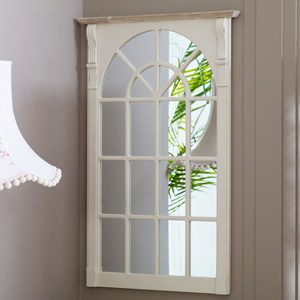 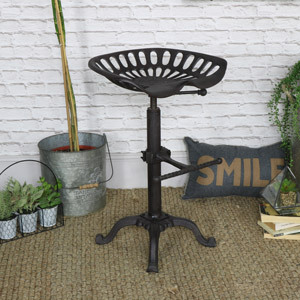 View the full collection and find the perfect vintage style furniture set for you.